Rhythmic hornpipes for English ceilidh dancing. Two great, stompy hornpipes for English ceilidh dancing, played on accordion and on melodeon. 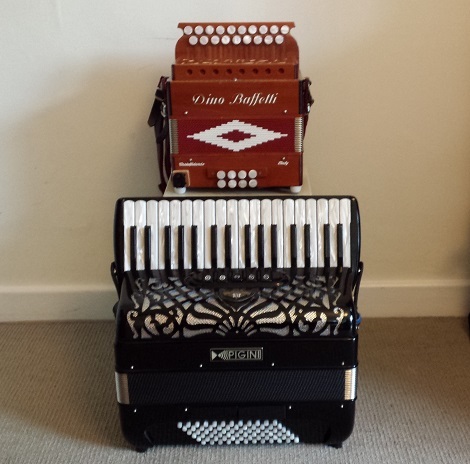 Played on a Castagnari Tommy melodeon converted to Hohner treble reeds. Sportsman’s Hornpipe done for melnet Tune of the Month for Dec 2012. Norwegian Hornpipe added as I first heard these played together many years ago by Brian Peters and have always liked them as a set.